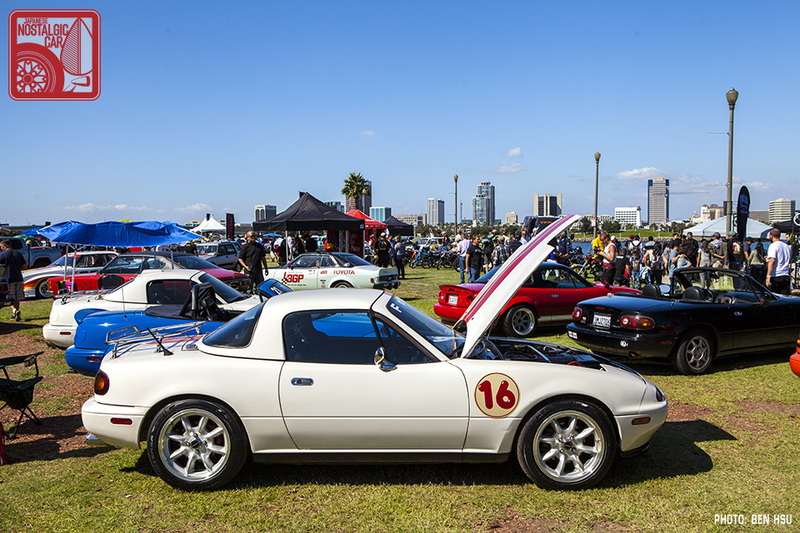 This year the JCCS Street Neo Classics show was put on hiatus because its venue, an area of the Toyota USA campus, is no longer available. If you’ve been following the news the company’s move to Texas is underway, so soon the long-standing Torrance headquarters will be a ghost office park. 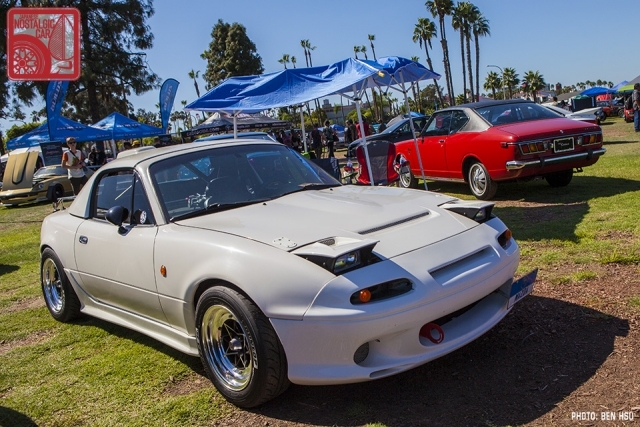 As such, JCCS organizers allowed a one time more 80s and 90s cars than would typically qualify — so enjoy this rare occasion! 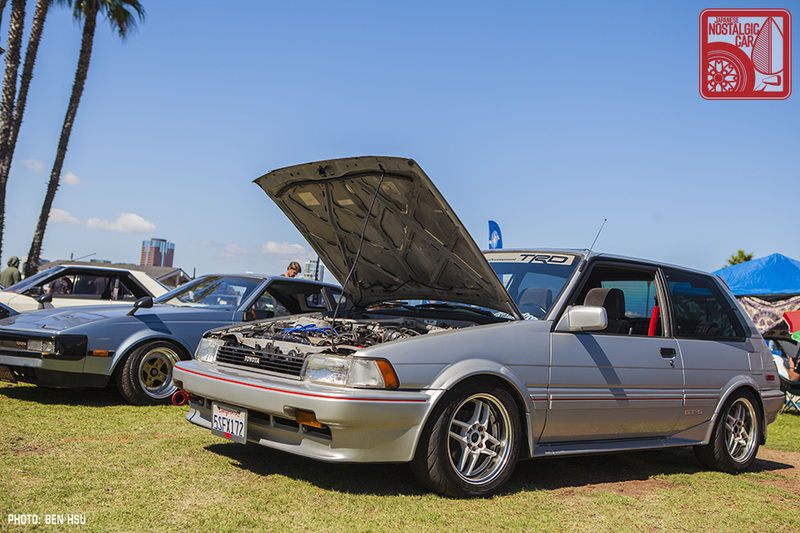 Javier Soto Vega’s 1987 Corolla FX16 GT-S was the model Toyota sent out to replace the under-appreciated at the time but now beloved AE86 Corolla GT-S liftback. However, in the front-wheel-drive hot hatch utilizes 4AG power and still has a cult following in Japan. 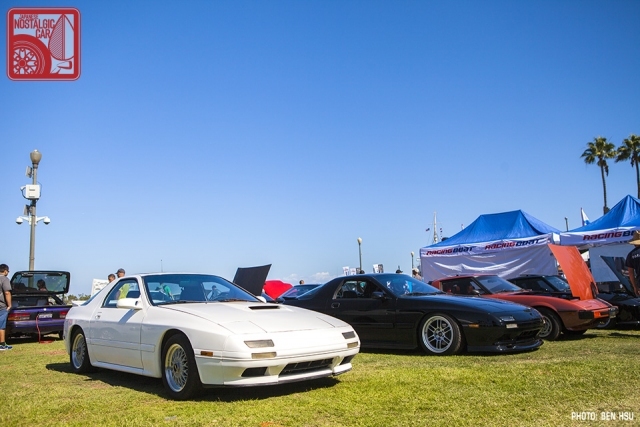 We’ve mentioned before how the Z31 is increasing its fanbase. 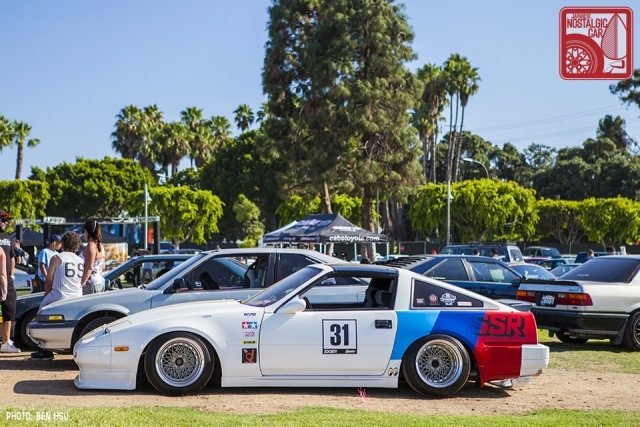 That fanbase is now building them into hot rods with a combination of US and Japanese flair. 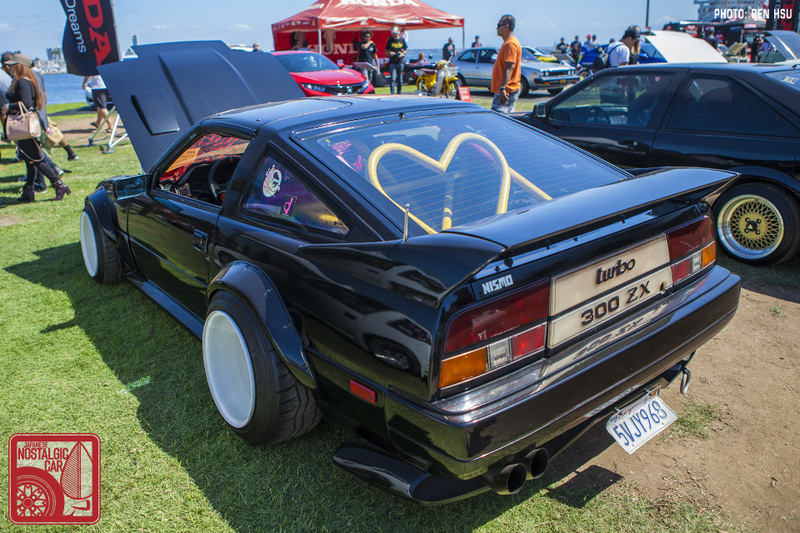 Bonus points for Godfather air horns and a heart-shaped roll cage. 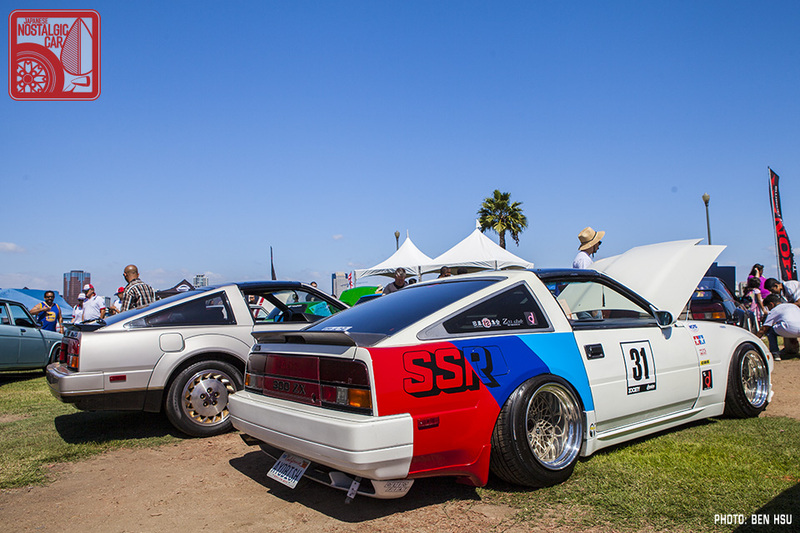 Our favorite modified Z31, however, was Roy Quintana’s 1986 Turbo with SSR livery. Bagged on rebarreled SSR meshies and rocking a Kaminari tail panel from back in the day, it’s got a certain Fukuoka-style panache. 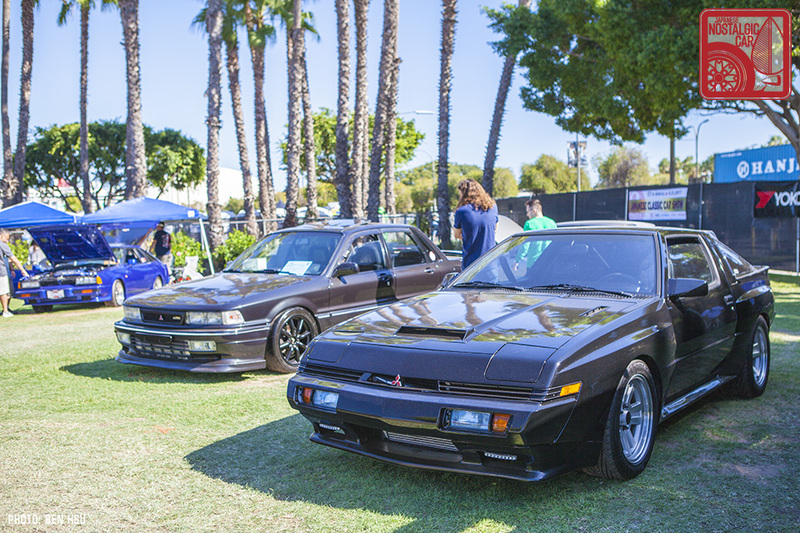 A small contingent of Mitsubishis represented the Triple We counted only one Starion and one Galant VR-4 at the show, proving 80s Mitsu enthusiasts do exist. In the Miata corral, fans of Mazda’s roadster like David Morales’s 1994 showed off a range of cars from stock to heavily modified. 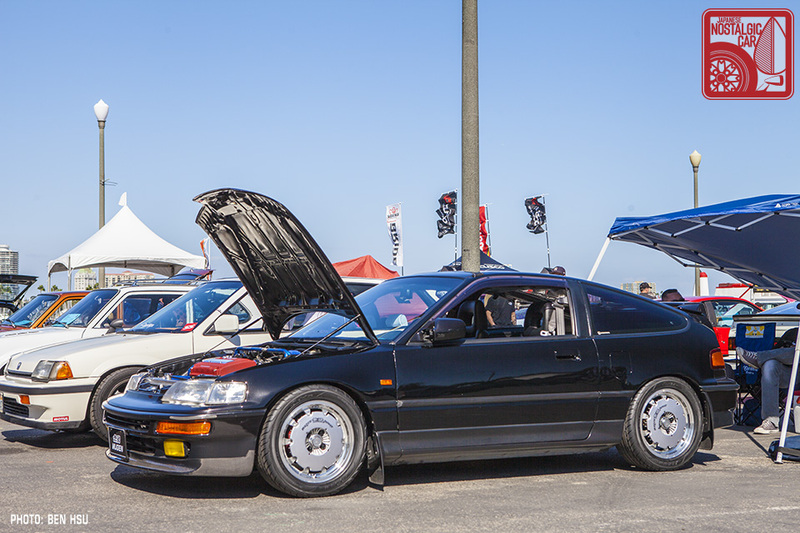 Willis Wong took home second place with his plethora of rare JDM parts such as RS Aizawa aero kits and M2 side mirrors. David Barwick’s NA was swapped with an S15’s SR20DE made by Autech, a 200-horsepower motor mated to a 6-speed manual. David says the resto mod was a mutli-year project that left no nut unturned. Toyota sedans were well represented from the front-drive AE92 Corolla to the last of the non-Lexus rear-drivers, the X80 Cressida. 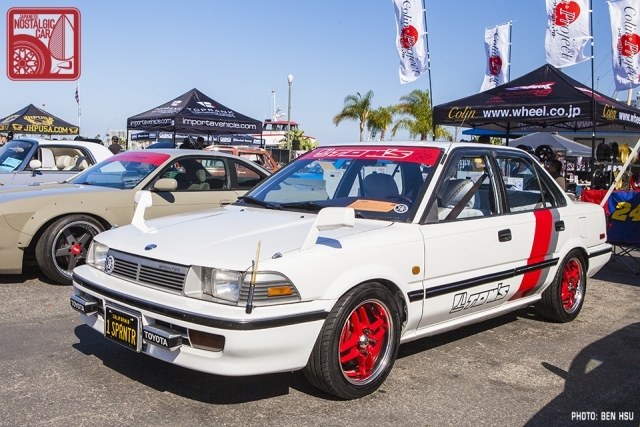 Rodrigo Catibog’s Corolla in particular was loaded with rare JDM parts like a Sprinter front fascia, TOM’s wheels and a 4A-GE 20-valve blacktop. 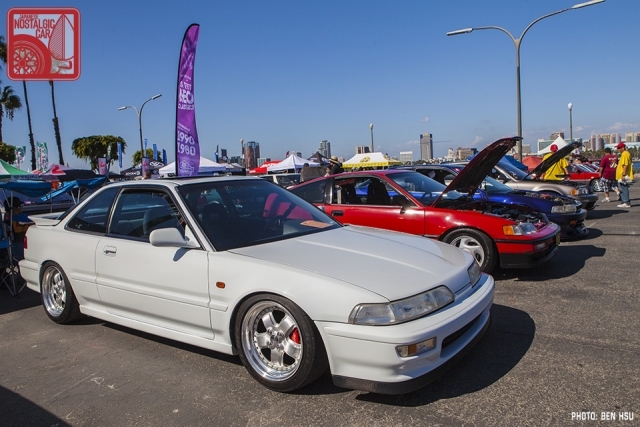 In the Honda section, Ho Dao’s 1992 Integra on Mugen MR5 wheels stood as a very clean example of the DA. 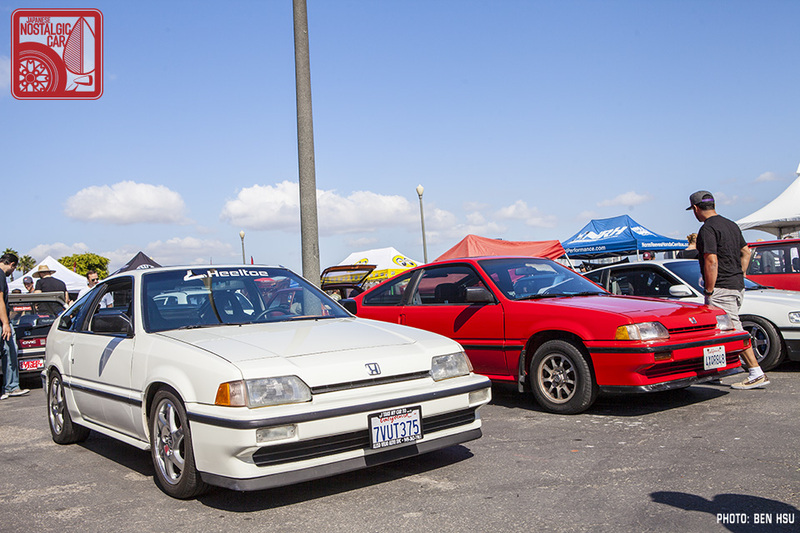 In the background, Christopher Giron’s 1990 CRX Si was returned to stock after being purchased modified from the previous owner. There was only one N12 Nissan Pulsar, Leonso Porras’s 1985. The forgotten wedge-shaped sport coupe hailed from Nissan’s heyday, when multiple sporty cars filled in slots across the lineup. Tony Rivera’s 1991 Honda CRX was built with the Japanese-market’s EF8 SiR as inspiration. 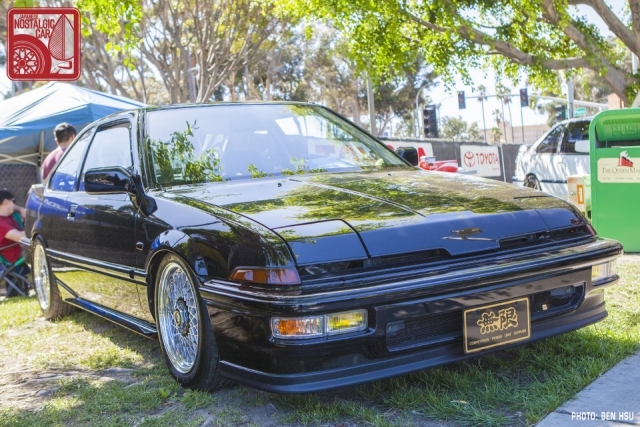 Amazingly, he was able to convert the roof to the glass-top JDM option. Tony took home third place in the Best CRX class. 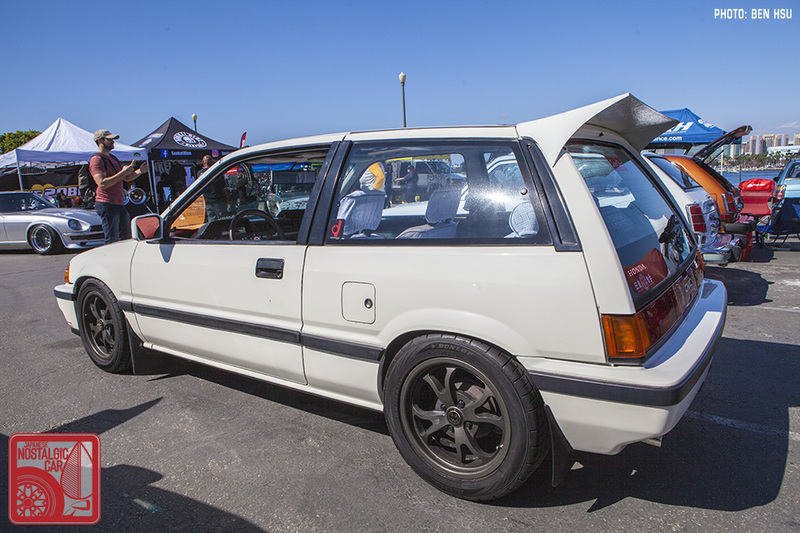 Alfredo Martinez’s EA-T Civic was modified with an Osaka-style Kanjo racer as inspiration. 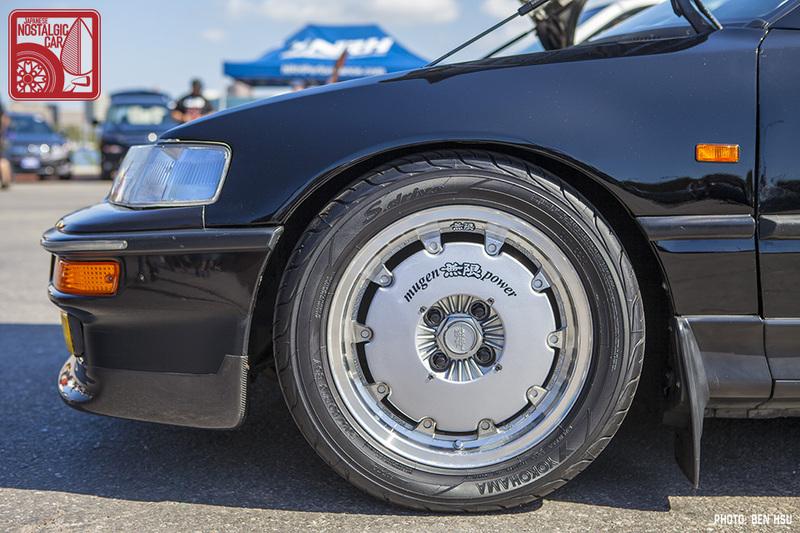 Japan-spec lights, an Osaka JDM wing and Falcon Wats give it that lightweight outlaw look. 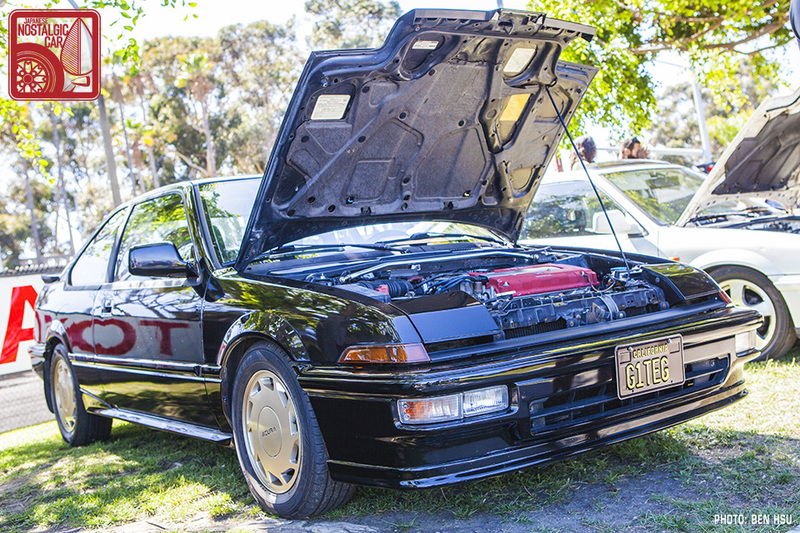 Isidro Abreo’s 1988 Integra looks mostly stock from the outside, but under the hood was a 9,000-rpm B18 from a Type R.
Ernie Uy is the original owner of his 1989 Integra LS and was modified in period. From the Mugen SW36 steering wheel to the Mugen exhaust the list of extensive mods reads like a spec sheet from a 90s tuner mag. Ernie won Best Honda for his time capsule build. We will have more 2017 JCCS coverage coming up but in the meantime, in case you missed it, here’s Part 01 — JDM Goodness, Part 02 — Race Cars, Part 03 — Stock as a Rock, and Part 04 — Shakotan Sleds, as well as a JCCS Spotlight feature. 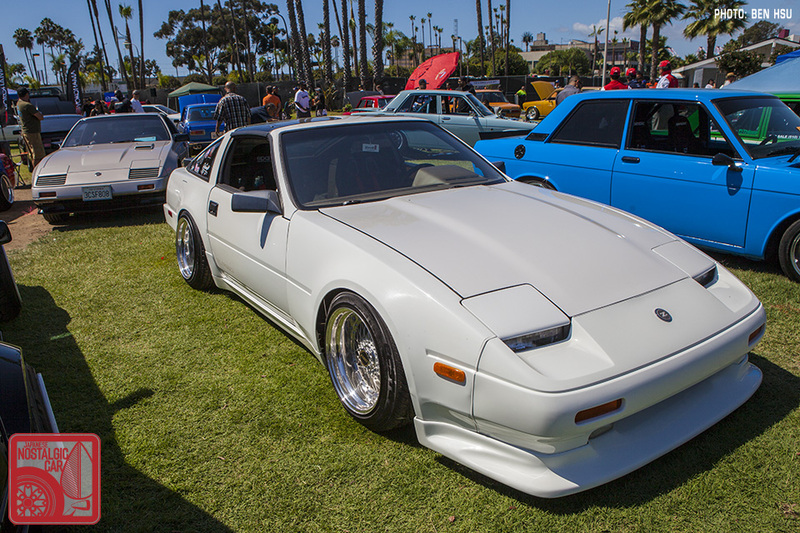 tagged: 300zx, acura, civic, corolla, cressida, crx, Da, e80, e90, ea, ef, fc3s, Galant VR-4, honda, integra, Integra 1G, mazda, miata, mitsubishi, mugen, mx-5, N12, nissan, pulsar, rx-7, starion, toyota, x80, z31. Do you have any more pictures or info in the VR-4? FX16, 300Z’s and then that Cressida. (Think I missed a good one this year). 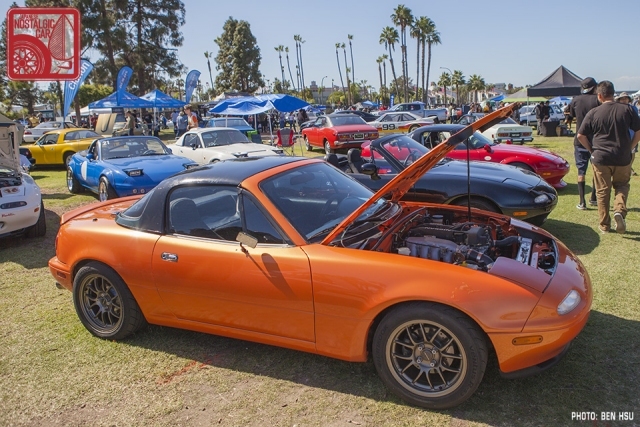 Thanks for showing my rs aizawa miata some love ben! Wish i had a chance to chat with ya a bit. Keep up the hard work! Great photos, thank you for the shots guys! Always love the show and your coverage of the event.